Why do purposeful people work smarter, feel happier and live longer? Now it’s time businesses learnt the true power of purpose. When I was a girl growing up in India, there were very few role models in terms of women taking up senior positions in the workplace. Yet I loved learning; I was ambitious—and above all, I wanted to dream big. So, I got a good degree in engineering and in my early twenties, found myself sitting in a lab, soldering circuits to insert into picture-in-picture televisions. After a while, I began to feel frustrated and trapped by a life that felt unfulfilling and uninspiring. What I lacked was a real sense of purpose. Whenever I think back to those days in the lab, I’m reminded that purpose is the key to everything. In fact, I would go so far to argue that in this world of unprecedented change, finding our purpose and helping others find theirs, is now more important than ever if both the people and the planet are to thrive. Yes, we see incredible new technologies developing each and every day—from AI, to robotics and facial recognition. But we will only be able to harness these technologies and use them to our advantage, if we first discover the very human sense of purpose that makes us all tick. While working on a discussion paper on being “more human” as the way to unlock business growth in this digital world, I began researching the subject. I was saddened to discover that already, 67 per cent of CEOs believe technology, not people, is the key to survival. As someone who works in Human Resources and actually, as a mother, I simply cannot agree. I know that having a sense of purpose gives us a sense of determination and resolve. It makes us feel fulfilled, valued, respected. Science tells us that it ever helps us live longer. 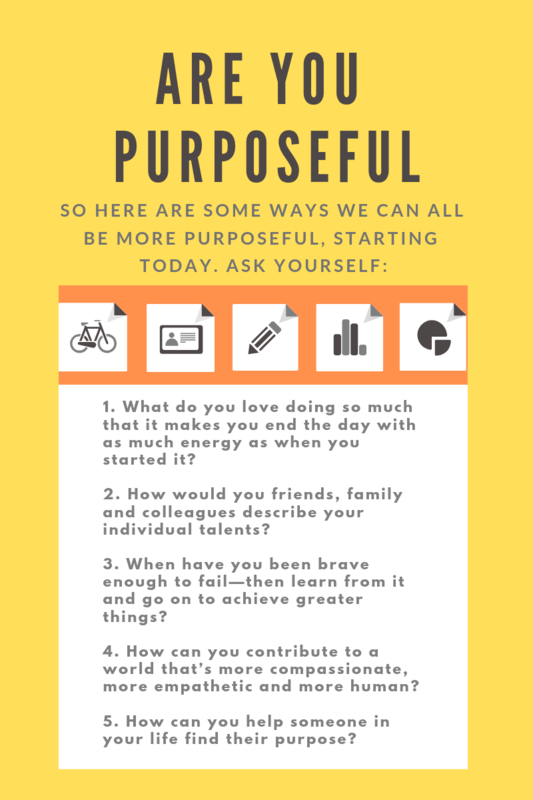 Purpose is both liberating—and grounding. By connecting to something bigger than ourselves, we feel united with others behind a common cause. We’re able to forget the fears and anxieties we experience amidst all this change—and instead, feel grounded and empowered to thrive in it. EY Beacon Institute demonstrates that feeling a sense of organisational purpose helps people pursue a single, compelling aim. In fact, 87 per cent of business leaders believe that companies perform best over time if their purpose goes beyond profit. The OECD backs this up. They found that when assessing GDP generated per hour worked, productivity is highest when people spend fewer hours working. More than anything, I would argue that finding our purpose helps us to be 100 per cent more human. When we’re purposeful, we unlock our creativity, we have empathy, become better communicators and leaders—and are able to maximise our individual potential. At Unilever, unlocking these uniquely human traits has already begun to pay off—both for our people and for our business. We’ve implemented individual development plans and workshops that help our people find their purpose. What we found was that by helping them find their purpose, we develop individuals who work for purposeful companies on purposeful brands that attract customers seeking more purpose. Look at the bigger picture and we see that if we were able to scale this self-perpetuating cycle of purpose, we’d set up a new value system for people, for business, for the environment—and for the world. As for me, you may well be wondering what my purpose is. After a lot of soul searching in those early days of working as a lonely engineer, I began to feel that it was people who gave me my real sense of purpose. I love to meet, understand, empathise with and empower new people every single day. Since it was founded in 1929, Unilever has always prided itself on being a purposeful company. So, at the age of 23, I joined as a trainee in the HR department. A quarter of century later, I’m here doing what I love best—working with people. My purpose is to ignite the human spark in everyone – to build a better business and ultimately, build a better world. 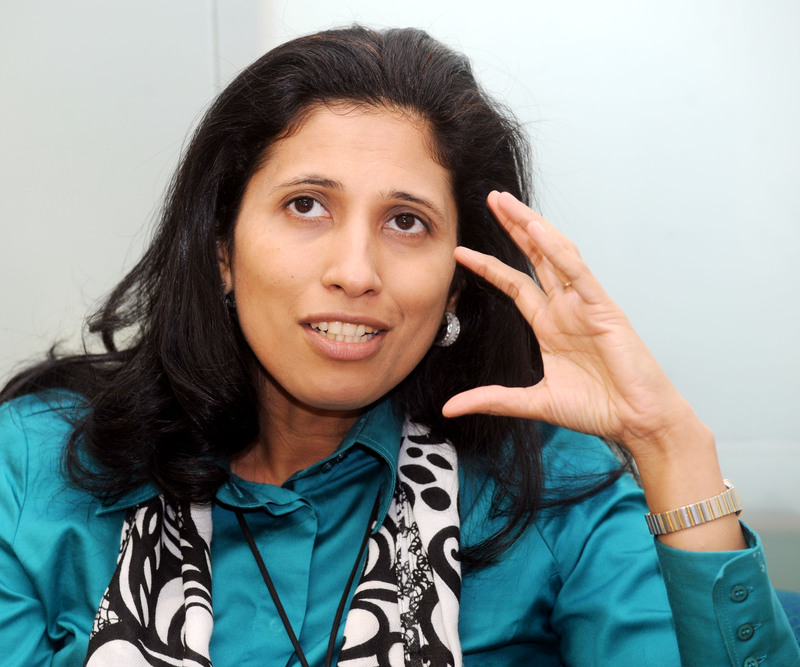 She is the first female, first Asian, youngest ever CHRO of Unilever and member of the Unilever Leadership Executive (ULE), which is responsible for delivering Unilever’s business & financial performance.